Everybody loves a story about an underdog who ekes out victory against the odds. But when the underdogs are a bunch of working class guys struggling to build a great rowing team in the depths of the Great Depression – and their opponents are the elite athletes of Nazi Germany, the story is truly enthralling. Daniel James Brown’s gripping account The Boys In The Boat is about how nine American boys from the West Coast defeated Hitler’s rowing team to gain the gold at the 1936 Olympic Games in Berlin. 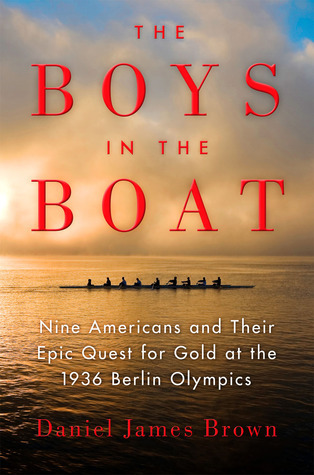 More than just a sports history, the NYTimes bestseller situates the story within the larger context of class, prejudice and world events to give the reader a full picture of just how great was the victory of the boys in the boat. The American Booksellers Association has voted The Boys in the Boat the 2014 Nonfiction Book of the Year for 2014. “But soft! What light through yonder window breaks? It is the east — and Juliet is the sun!” — these are the immortal words of Romeo greeting the celestial vision of his lover as she emerges on her balcony. But in Lois Leveen’s new novel Juliet’s Nurse, Romeo is not the shining youth of Shakespeare’s play, but someone much more problematic — at least in the eye of the book’s eponymous character. Leveen is a historian turned novelist — we spoke with her last about her book The Secrets of Mary Bowser, a novel about a real African American spy in the Confederate White House. 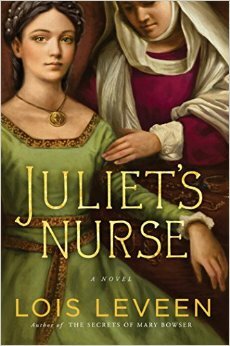 In Juliet’s Nurse, she turns her historical talents to 14th century Italy, a time of plague, violence, and rigid hierarchy — but also a society on the leading edge of the Renaissance. We get the imagined backstory of Shakespeare’s tale, told from the point of view of Juliet’s nurse — a generous and bawdy soul who loves her young charge with all her heart — even though it means she has to live apart from her own beloved husband. In this 450th year since Shakespeare’s birth, Leveen’s novel gives us a sense of history from the woman’s perspective — a woman who, as both insider and outsider, has much to say about the intrigues and passions of Verona’s ruling elite. I was listening to your program, “Writer’s Voice” on our local all-volunteer, community radio station KHOI in Ames, Iowa, during your program on “Shakespeare From The Female POV,” about “Juliet’s Nurse,” by Lois Leveen, whom you interviewed. Most people who consider the theatrical play “West Side Story” can be easily convinced of how Shakespeare’s “Romeo and Juliet” was its predecessor in the application of “family and politics”. Other than Romeo’s family’s being unacceptable to Juliet’s family for social, political, or financial circumstances, I am not sure if race was a factor; however “West Side Story” was plainly of a forbidden-inter-racial-love-and-marriage theme. Compare how if Juliet failed to obtain a suitor, a daughter supposed to be unfit or unacceptable as a bride could also be pushed out of society, rather than up into it, as in “Galileo’s Daughter,” a biography of Maria Celeste (her nun’s name) by Dava Sobel (Walker & Company; 1999), wherein is represented the fate of so many similar young women who for unexplained reasons found themselves shut up into a nunnery, never or rarely to see the outside world; and where Galileo’s daughter accounts in her letters for what ends up as a lengthy obituary of who died and how old they were. Most of the deceased were very young women, late teenage to late twenties ages. She herself died at age 33. Without her further comments, we may assume rather plainly, they did not see life in a nunnery, kept from the world, as a life worth living. The idea of how families use politics, and/or, how politics uses families, including by the means of marriage of daughters who may be less inclined to agree to such an indentured servitude, can be found in several places. For a closer view of why Romans used marriage as a political tool, even to using their own wives as such for the taking of another, higher-connected man, consider “The Women of the Caesars” by Guglielmo Ferrero (Chautauqua Institution, Chautauqua, New York; JP Putman’s, 1911; also at Books.Google.com, of the same title). A possible second source: “Seven Roman Statesmen of the Later Republic: The Gracchi, Sulla, Crassus, Cato, Pompey, Caesar,” by Charles Oman (Edward Arnold Co., NY, 1903; also at Books.Google.com. If you want to see the future of the USA, read the first chapter, to maybe 50 pages or so). Thought you’d want to compare sometime, when you have the “time”! Who does? Francesca, thank you for your great piece on Lois Leveen, one of my favorites. The thirty minutes are just wonderful. Happy Holidays to both you and Lois for this wonderfully entertaining half-hour.